Stamped with “Frame #20 Celestial” and colored with pencils. 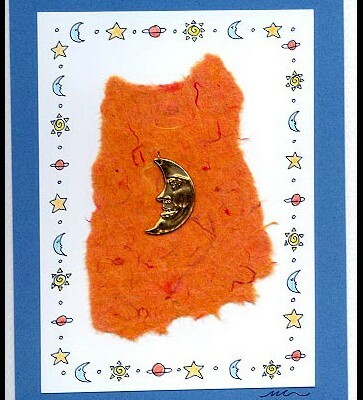 Moon charm is glued onto a torn piece of mulberry paper. Card by Mary Connaway.